Hello my lovelies! This Monday started with an incredible news for me, namely with Leo winning that well deserved Oscar. I've been waiting for this moment for years and years, so I couldn't be happier for him. That being said, I have a beautiful nail polish to show you as well. It's my very first Colors by Llarowe polish, which is an event in itself. I've been craving for at least one of these polishes ever since the brand first came out because all of them are amazing. Finally I got my hands on one and I couldn't be happier. Scattered Sun Flare is one of the Nailland exclusives created by LakkomLakkom. 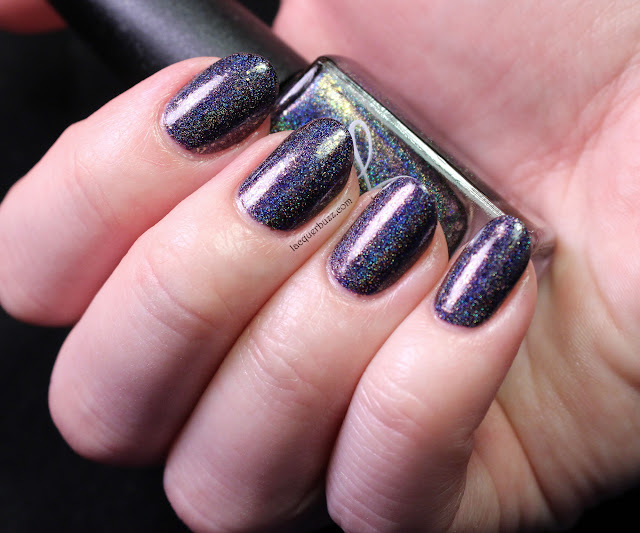 It's a holographic polish but it's so much more than that. First off, it's very hard to tell the exact shade it has. In some lights it looks more like a charcoal grey, while in others it is a dark blue. You can clearly see the blue in my photos, especially without direct light. Indirect light also shows the gold flakes that add that something extra to this polish. Direct light brings out the crazy holo like you can see in the photo below. 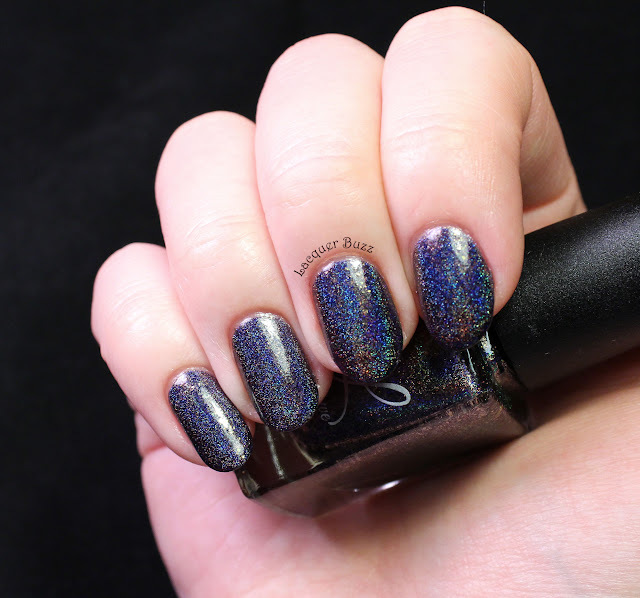 The formula is amazing, despite the strong holo effect. I used two easy coats to cover my pretty long nails and they dried extremely fast. Of course I added a coat of Seche Vite to make it extra shiny. I decided not to add any stamping or nail art on top because I wanted to show it in all its beauty. 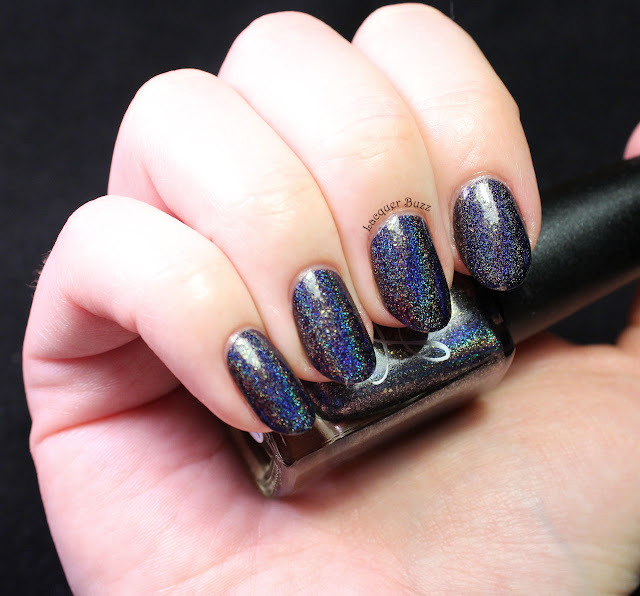 This polish is like a galaxy on your nails. You don't even need galaxy nail art because it's so pretty by itself. I'm very happy with my first CbL polish and can't wait to add some more to my collection. Until then, make sure you check out the rest of this month's Monday Blues in the links below!